Over the years the gnarly, impolite improvising trio called the Thing (saxophonist Mats Gustafsson, bassist Ingebrigt Håker Flaten, and drummer Paal Nilssen-Love) has performed and recorded with many guest musicians: Joe McPhee, Ken Vandermark, Otomo Yoshihide, Jim O'Rourke, Neneh Cherry, and Barry Guy among others). The hard-hitting group have proven an ability to accommodate a wide array of approaches, perpetually modulating their rough-and-tumble sound to the needs of a given context. 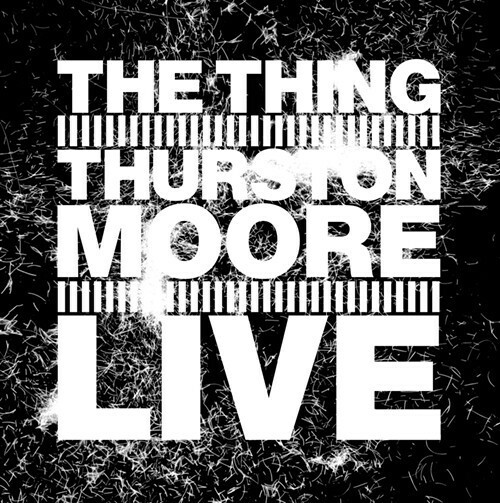 They proved it yet again with a late-2014 release made with former Sonic Youth guitarist Thurston Moore on Live (The Thing/Trost). As an improviser Moore relies on a noisy, texture-oriented sound that has its limitations, but not only does it fit nicely with the Thing at their most aggressive, but the trio deftly shows that they create a simpatico setting for such raw expression. The album includes two extended pieces recorded in London in February of 2013, in which the group plows, grooves, and spazzes out in one violent, continuous flow of sound. Håker Flaten sticks with a distorted electric bass throughout, while Nilssen-Love bangs out the beats with as much ferocity and power as any rock drummer on the planet. While all three members of the Thing are virtuosic in their own special ways, what makes the trio so effective is how they move as one, intuitively reacting to one another and transforming angles with preternatural ease. Moore's playing tends to seethe and ripple on the outskirts of the trio's visceral grind by filling in spaces, burning edges, and pushing against rhythm like a shoulder pushing up boulders. The music is not subtle—it hits with blunt force, yet within that bludgeoning assault there's no shortage of variation and magnetism. Below you can check out the second track from the album, "Awakened by You."